Interested in learning more about what is going on at the Rochester & Genesee Valley Railroad Museum? 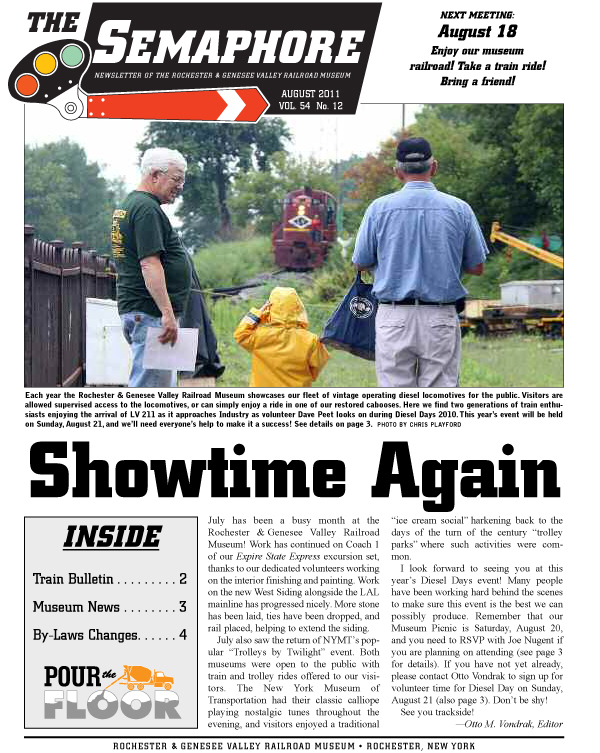 Please read the August 2011 issue of our newsletter, The Semaphore, online in PDF. If you would like to read more, please check out our online newsletter archive. We now have fifteen previous years currently available. 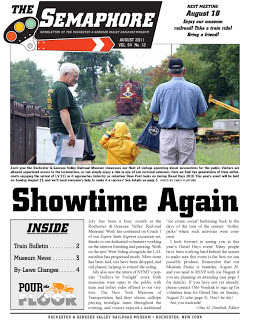 This entry was posted in Museum Blog and tagged newsletter, railroad museum, rochester. Bookmark the permalink.